Bud Brown Volkswagen is grateful for your service to the country and our community. We’re pleased to offer a $500 Bonus towards the purchase or lease of any new Volkswagen model (excluding Golf-R). Active First Responders: Police Officer, Sheriff/Sheriff’s Deputy, Correctional Officer, State Trooper, Federal Law Enforcement Officer, Firefighter (career or volunteer), EMT, Paramedics, 911 Dispatcher/Operator. 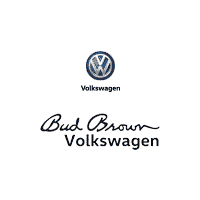 We’re confident that you’ll enjoy the entire purchase and ownership experience at Bud Brown Volkswagen starting with our great selection and competitive pricing on all the new VW models including the exciting new 7 passenger Atlas and Tiguan SUVs, the legendary Golf GTI high performance hatch, the utility loaded and versatile 4Motion Golf Alltrack, and our best-selling Passat and Jetta sedans. Remember, this $500 Bonus is in addition to all other offers and incentives. Please call or come in for complete details.